Weaning is a key stage in the development of your baby onto first foods. Here’s what dads need to know. 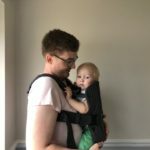 If you’re reading DaddiLife you’re probably a dad who likes to be involved in all aspects of his baby’s development. You’ve probably changed more than a few nappies in your time already, and maybe joined in with the night feeding. You may even have been involved in some pre-potty training. Another important stage in your baby’s development is weaning, when he or she makes the transition from a liquid only diet to one predominantly based on solids. This is a stage that definitely involves dad as well as mum, so we asked Paula, in-house dietician of healthy baby food range Babease, for all the information dads could need. How do you know when your baby is ready for their first solids? What are the signs? Your baby can stay in a sitting position on their own and hold their head steady. They can coordinate their eyes, hands and mouth so that they can look at the food, pick it up and bring it up to their mouths themselves. Your baby can swallow food. Babies who are not quite yet ready for solid foods tend to move food out of their mouth with their tongue, as they can only move their tongue forwards and backwards (called the ‘extrusion’ reflex) and not yet from side to side. Waking at night for feeds. Demanding to be fed more often. Sucking on fists and chewing toys. What should babies be eating, when? 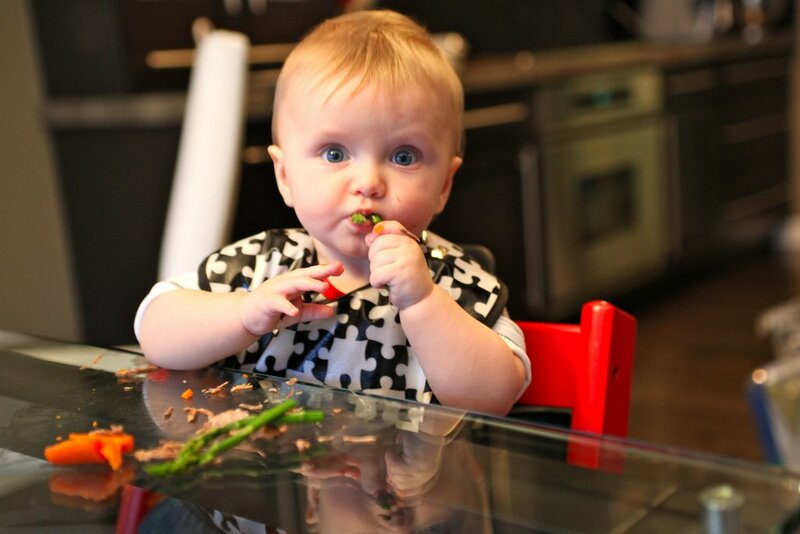 Stage 1 – The first stage of weaning is all about ‘first tastes’ and exploring the taste and textures of foods. Your baby will be eating very small amounts of food at this stage, maybe one or two teaspoons. You should not expect their milk (breast or formula) to decrease by very much. To start with, offer a small amount of food once a day at a time when your baby is well rested and you are not too rushed. It’s a good idea to give a little bit of their milk feed first and then offer the solid foods, so that they are not too hungry. Cook the meats slowly to make sure they are very soft and you may need to puree them as well. Vegetarian sources are not absorbed as well as iron from meats, but vitamin C in fruits and vegetables helps the body to absorb iron from vegetable foods. Try to offer soft finger foods at this stage to give your baby plenty of practice chewing foods. Stage 3 – Increase the variety of foods and textures offered to your baby. You can start to give them slightly harder and crunchier finger foods, such as raw vegetables and breadsticks. Try to offer as many vegetables and other savoury tastes as you can so that your baby is exposed to many different tastes and textures. Aim to have your baby eating family foods (chopped to an appropriate texture) by approximately 12 – 15 months. How do you know when to move from one stage to the next? Paula: Try to go at your baby’s pace and don’t rush things. As a guide, aim to start Stage 2 after approximately three or four weeks of offering tastes and build up from one meal per day to two then three meals per day by approximately seven months of age. The third stage will be from around nine or 10 months of age. How do you combine milk feeds and weaning? Paula: Try to give half a milk feed first before offering solids, so that your baby is not too hungry. Then you can offer the rest of the feed after giving solids. Don’t decrease your baby’s breast or formula milk volume too quickly as milk feeds still provide an important source of nutrition during their first year of life and beyond. Work towards gradually reducing milk feeds and increasing solids intake so that by 12 -15 months of age your baby is on three meals per day with two or three small snacks, and two milk feeds in the morning and evening. 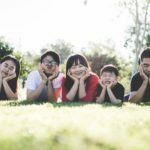 How can dads make sure they’re fully involved? Paula: There’s lots dads can do. Try to help with the night feeds whenever you can. Dad can feed baby expressed breast milk or a bottle of formula milk. Then, remember to feed mum! She needs a good supply of nutrient-dense foods, especially if she is breastfeeding, in order to keep her energy levels up. Dad can of course play a full part in feeding solid foods to the baby.